Summary: Allegations of MBN’s drug abuse finally reported in mainstream media; royal family members and Interior Ministry officials suspected of importing and distributing large quantities of illegal drugs into the Kingdom. This timely character assassination deals the coup de grâce to MBN’s reputation and though some seasoned Saudi watchers view it as a baseless hit job, it appears to confirm long-standing rumours MBN suffers a substance abuse problem. At the start of 2017 a leaked audio recording was published of one of MBN’s cousins, purportedly Princess Jawhara Bint Abdelaziz Bin Musaid Bin Jiluwi, describing her surprise reaction when she first saw him snort cocaine. MBN is said to have been admitted to rehab several times in the West after suffering health complications related to substance abuse, experiences which presumably inspired the “rehab centres” for terrorists he has run for years based on the 12-step programme. 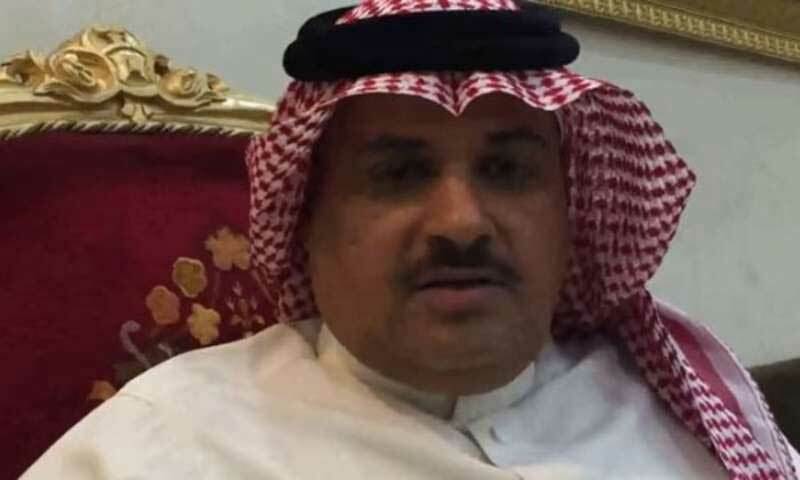 MBN is also rumoured to have engaged prostitutes of both sexes and there are lurid rumours some kind of kompromat was used to pressure MBN’s brother Prince Saud bin Nayef, Governor of the Eastern Province, to use his influence and persuade MBN to stand down. All eyes now are on Prince Ahmed bin Abdulaziz, last remaining son of the founder with the capacity and influence to halt MBS’s rise to power. Likely next steps include the removal of Prince Muteb bin Abdullah as minister of the National Guard, allowing MBS to extend his control over the last part of the armed forces, and the king’s abdication. Besides costing him the throne MBN’s substance abuse problem looks to have taken a toll on his personality and conduct. He has long been known for refraining from engaging in royal family life in a normal way when formalities of this kind are important in the royal family. In nearly two decades of public service the reclusive intelligence chief, nicknamed the Prince of Darkness, who is said to have a phobia of cameras and microphones, never gave an interview to a western journalist and only ever appeared unscripted before the cameras on two or three occasions and then only by accident, except once when he appeared as proof of life following a failed assassination attempt. For years he lived reclusively, taking elaborate security precautions for fear of assassination, moving from place to place and spending much of his time on a secluded palace on an island in the Red Sea. Although he opened a Twitter account in March 2016 MBN only tweeted twice, once saying how much he looks forward to enhance communication with “all the sons of our noble society”. His poor communication skills contrast with those of the media-savvy MBS and contributed to his downfall. Independent information about substance abuse in Saudi Arabia is rare, but one example is this study on the topic by the World Health Organisation published in 1998. Penalties for drug offences are notoriously severe, with around one person thought to be executed for drug related offences every four days. Despite this, videos of Saudi policemen and security officers taking and selling drugs are all over the internet and substance abuse by regime officials is known to be rife. Royal family members are admitted for addiction treatment in hospitals around the world, often in London, and one of the Wikileaks describes a private house party where drugs and prostitutes are said to be present. “Though not witnessed directly at this event, cocaine and hashish use is common in these social circles” the US consul in Jedda wrote. According to a whistleblower at the Narcotics Control Division speaking last year, senior figures at the interior ministry are the principal architects of the Saudi narcotics trade. Major Turki bin Hamza al Rashidi, who was decorated twice for his work before he went rogue, claims he was fired and then subjected to a campaign of intimidation after passing a dossier of evidence against senior Interior Ministry figures to his superior at the Narcotics Control Division. MBN was either deputy head or head of the Interior Ministry from 2004 until last month. In an extraordinary 45 minute online video posted last year Major Turki gives details of what he says are state run drug smuggling operations. One plot known as the “twin buses game” involves a bus full of Haj pilgrims being certified and documented by customs as ‘clean’ before later the same documentation is used again to bring many other ‘dirty’ buses full of drugs into the country. Major Turki claims the scam has run for decades, with hundreds of buses making thousands of trips, yielding “billions” in profits. The proceeds he says are laundered by senior government officials and board members at major banks who are among the most important drug barons. The dirty money enters the financial system under the guise of legitimate income arising from the pilgrimage. After he posted the videos Major Turki appealed to the King to save him, insisting he was about to be assassinated. He was arrested by the mabahith on 9 May 2016 and has not been heard of since. Soon after the videos were first posted Saudi media announced that the Narcotics Control Division would respond to the Major’s allegations at a press conference but no official comment was ever forthcoming. Since every prince and his entourage, which can extend to hundreds of people, has de facto legal immunity it is to be expected that drug smuggling in the kingdom is conducted mainly by corrupt regime members. At the top level are very senior princes, so rich and powerful they can use their own private aircraft and airports to fly whatever they want around the world. In 2013 the ex-business partner of the king’s late brother Prince Mishaal bin Abdulaziz alleged that his agents bribed UN officials to turn a blind eye to an illicit air cargo of $2bn to Nairobi. Below them are mid-ranking royal family members who lack this capacity but can still use their influence and money to import and distribute drugs on an industrial scale. One example of this is the “Captagon Prince” caught at Beirut airport in 2015 with two tonnes of drugs; another are the Al Shaalan brothers who skipped US federal narcotics trafficking charges and fled to Saudi Arabia. The third level are peripheral, junior members of the royal family who have no political influence but retain de facto legal immunity, at least in their homes and vehicles, which they effectively rent out to drug gangs inside the country. A prince as partner is a valuable criminal asset since police investigations in the kingdom usually stop as soon as they reach a royal family member. The final level of drug smuggling in Saudi Arabia is that undertaken by poor foreigners, typically Yemenis, Afghans and Pakistanis. Though they smuggle drugs in relatively small quantities they are the most likely to be executed.